Questions about Kichler Lighting 42922CLP? 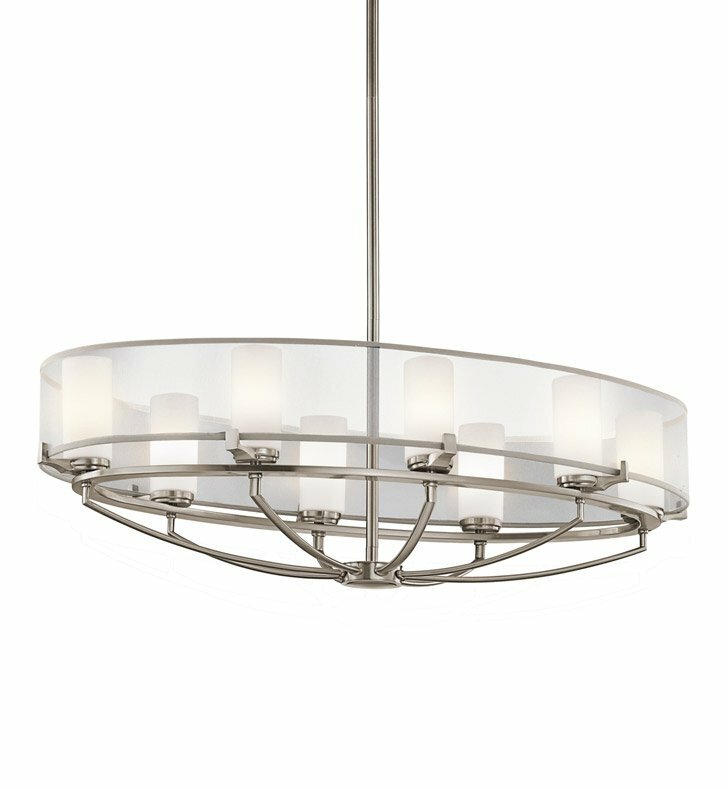 Soft outer shades give this 8 light chandelier from the Saldana collection a glowing Celestial feel. When lit, the white translucent organza shades shimmer, diffusing the light from the Satin Etched Opal Glass inside. The clean, structural lines touched with Classic Pewter finish provides the perfect foundation for this light and ethereal design. Sloped ceiling kit included. Dimensions: H 14 1/4" x W 20"